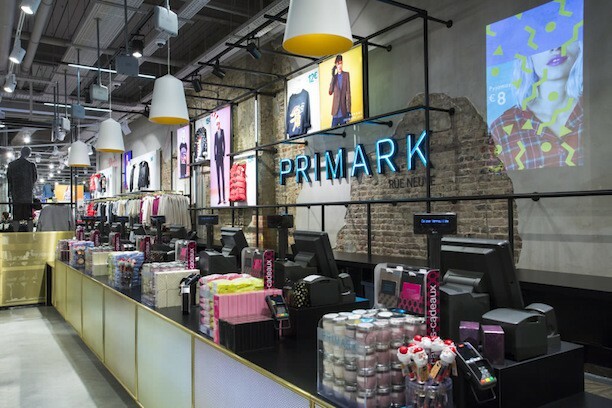 Irish discount fashion retailer Primark has ventured over the pond and has opened up a Flagship store in Boston, USA. 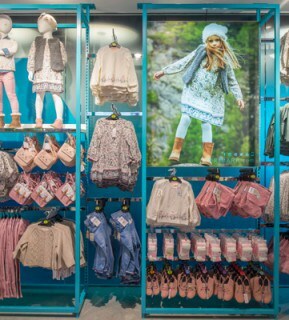 Famous for their extremely cheap prices, this is their first location in the north east and Primark are set to open up many more in this part of the world. The store is situated in the former Filene's department store in downtown Boston and with it's historic and famous background it has a lot to live up to. This award winning store has over 7153 sq. m of selling space with 73 cash desks, 84 changing rooms and 530 mannequins and busts to showcase their product. As well as this, there is also 92 sq. m trend room showcasing their latest designs immediately upon entry. 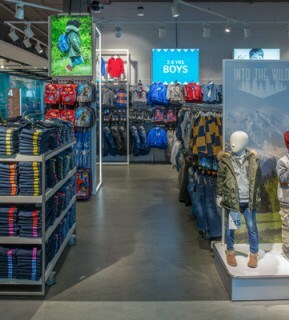 Designers Dalziel and Pow worked on the store design concept. The modern design incorporates the buildings heritage by holding on to the exposed brick work and terracotta ceilings. 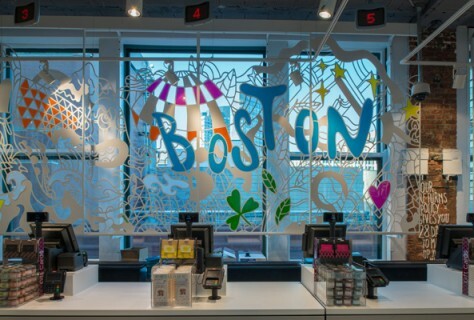 In the lobby there is a ‘Hello Boston’ Mural illustrating the retailer’s locations around the world as part of Primark’s international fashion story. Not only this but there are several more art features throughout the store which include decorative fret-cut panels applied to the cash desks across all levels which express the departments they are in. They recently picked up awards for this store taking home Retail transformation and reinvention award as well as Outstanding Leadership. They seemed to have made their mark and can only go up from here.